The ICC Selection committee comprises eminent former players and select the finalists for the ICC Player of the Year, ICC Test Player of the Year, ICC ODI Player of the Year, ICC Emerging Player of the Year. The committee selects the final ICC World Test Team and ICC World ODI Team. Test, ODI and Overall Cricketer of the Year: India captain sweeps ICC awards. Ekta Bisht only Indian women to feature in both the sides. Mustafizur claims ICC Emerging Cricketer of the Year award; Shahzad from Afghanistan named ICC Associate and Affiliate Cricketer of the Year. Pakistan Test captain Misbah-ul-Haq wins ICC Spirit of Cricket Award. Virat Kohli who has been named as captain of the ICC ODI Team of the Year. England skipper Alastair Cook has been named as captain of the ICC Test Team of the Year. 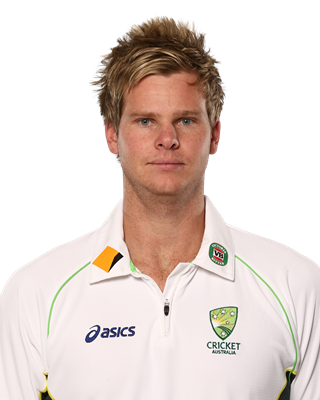 Steven Smith is the seventh player to be named the ICC Cricketer of the Year and Test Cricketer of the Year in the same year. Alastair Cook named captain of the Test side while South Africa captaion AB de Villiers lead ODI team of the year. No any players in the list of World No.1 South Africa. Mitchell Johnson has bagged the two most prestigious ICC player awards for the 2013-14 season, winning Cricketer of the Year and Test Cricketer of the Year. MS Dhoni have been selected in the ICC ODI team captain of the year 2014 while Sri Lanka's Angelo Mathews has been named captain of the Test side. The award caps off a breakthrough year for Bhuvneshwar who has established himself as India's No. 1 bowler. Just over a day after being passed over for his country's Test captaincy, AB de Villiers was named South African Cricketer of the Year on Wednesday night. Australia captain Michael Clarke has won the Sir Garfield Sobers trophy for ICC Cricketer of the Year and was also named the ICC Test Cricketer of the Year after a stunning 2012-13. India captain MS Dhoni won this year's ICC People's Choice Award, thus becoming the second Indian cricketer to win the prize after Sachin Tendulkar. List of nominations for the International Cricket Council awards announced by the world governing body in Mumbai on Tuesday. Indian captain MS Dhoni and star batsman Virat Kohli were nominated for the ICC's People's Choice Award, the winner of which will be declared on December 13. Graeme Smith received the ICC Test Championship mace for leading South Africa to the top spot in ICC Test rankings on the annual cut-off date of April 1. Australian captain Michael Clarke won his fourth Allan Border Medal as the nation's cricketer of the year at a gala ceremony in Melbourne on Monday. During the performance period, Sangakkara played 14 Tests and in 27 innings, he compiled 1,444 runs at an average of 60.16, including five ton and five fifties. Daniel Vettori, the New Zealand left-arm spinner, has won the ICC Spirit of Cricket award for a sporting gesture during a Test against Zimbabwe in Bulawayo last November. South African batsman Richard Levi won the ICC Twenty20 International Performance of the Year in recognition of his 51-ball 117 not out innings against New Zealand. West Indies spinner Sunil Narine follows in the footsteps of last year's winner and fellow West Indies bowler, Devendra Bishoo, in claiming the award. Umpire Kumar Dharmasena won the David Shepherd Trophy for first time after being named ICC Umpire of the Year at the ICC Awards on Saturday. Ireland's George Dockrell was named the ICC Associate and Affiliate Cricketer of the Year here at the LG ICC Awards on Saturday. During the last one year, Virat Kohli played 31 ODIs and scored 1733 runs at an outstanding average of 66.65, including eight hundreds and six half-centuries. India captain Mahendra Singh Dhoni has been named captain of ICC's 'ODI Team of the Year' which also includes Virat Kohli and Gautam Gambhir. Indian captain MS Dhoni and Virat Kohli are in the running for the 'ODI Cricketer of the Year' trophy in the short-list announced for the ICC Annual Awards. 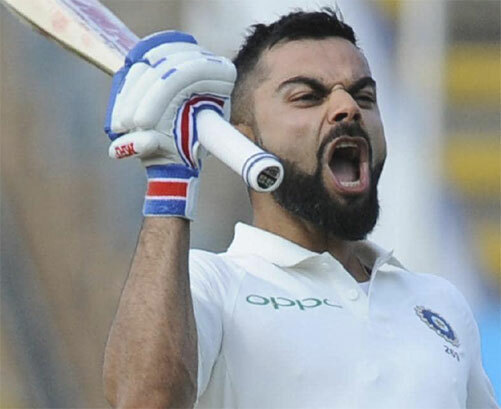 In-form India batsman Virat Kohli, the leading run-scorer in ODIs this year along with Sachin Tendulkar has been nominated for the top ICC Awards 2012. Australian captain Michael Clarke is one of nine players nominated for 2012 ICC Cricketer of the Year award. Proteas bowler Vernon Philander was named South African cricketer of the year Wednesday following a sensational entry into Test cricket during the 2011-12 season. Indian captain Mahendra Singh Dhoni won the Spirit of Cricket Award while iconic batsman Sachin Tendulkar missed out the Cricketer of the Year honour. World champions India dominated the ICC ODI Team of the Year announced on Monday, with four of them figuring in the side, including Mahendra Singh Dhoni, who was named captain. Injured Zaheer Khan has something to cheer about as he has been nominated in three categories for 2011 ICC Awards to be held in London on September 12. Five cricketers, including India's World Cup winning skipper MS Dhoni, were shortlisted for the second edition of ICC's 'People's Choice Awards'. All-rounder Jacques Kallis dominated the South African Cricket Awards, winning three of them, including the prestigious Cricketer of the Year. Jonathan Trott's run-scoring feats during the past 12 months were recognised when he was named England's cricketer of the year by the England and Wales Cricket Board (ECB) at a ceremony at Lord's on Wednesday. Sachin Tendulkar and Salim Durrani bagged top honours while World Cup winning team led by skipper Dhoni was felicitated by BCCI at its awards function. Tendulkar's genius made way for another evening of celebrations as the cricketing fraternity got together to honour him with Indian Cricketer of the Year award. When South African Hashim Amla vies for the ICC Cricketer of the Year Award in Bengaluru on October 6, he would complete a full circle in the land from where his forebears came. Tendulkar and Sehwag have been shortlisted for both Cricketer of the Year and Test Cricketer of the Year awards at the ICC Awards to be held in Bengaluru. The International Cricket Council has withdrawn the names of suspended Pakistan fast bowlers Mohammad Asif and Mohammad Amir from next month's ICC awards in India. Sachin Tendulkar is one of the five cricketers who have been shortlisted for the first People's Choice Award to be given away during the ICC award function. England's Graeme Swann was added to the long list for the ICC Cricketer of the Year award after his original omission sparked a furious reaction in Britain. India skipper MS Dhoni, Sachin Tendulkar and Virender Sehwag are among 9 cricketers who have been nominated for the October 6 ICC Awards 2010. Sri Lanka's Tillakaratne Dilshan has bagged the Twenty20 player of the year award in the ICC awards ceremony in Johannesburg on Thursday. India opener Gautam Gambhir has been named Test Player of the Year at the ICC awards ceremony in Johannesburg. Indian opener Gautam Gambhir and batting maestro Sachin Tendulkar have been named in the ICC Test team of the year. Dhoni leads ODI teams of the Year. Yuvraj, Sehwag, Dhoni in ICC ODI team. Pakistan's Aleem Dar was named Umpire of the Year at the ICC Awards in Johannesburg.